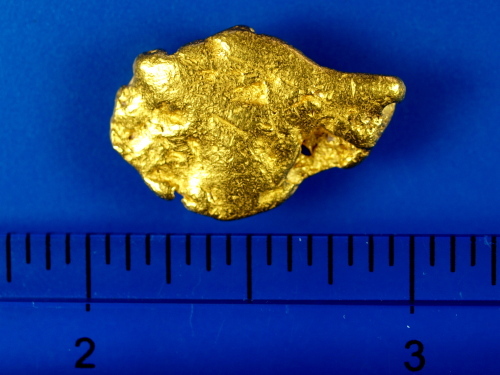 A very nice hefty gold nugget from Mariposa County, California. 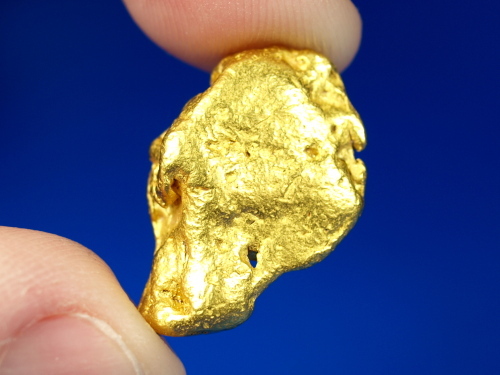 Some beautiful gold comes from this region, and this lovely nugget is no exception. 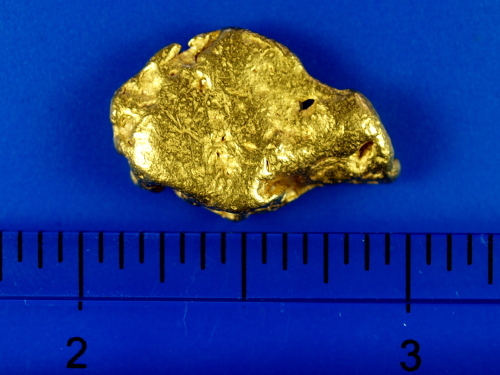 It weighs just under 1/2 an ounce, at 14.08 grams. 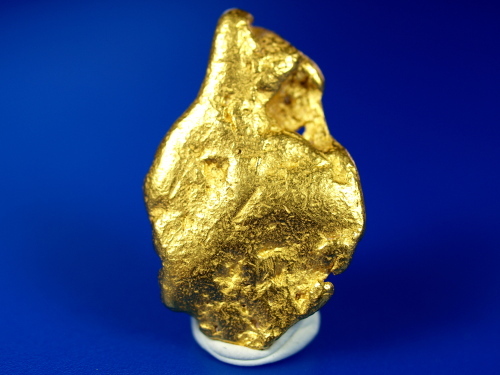 An excellent addition to any gold collection.